What a simple ingredient list. I can not wait to try these. Thank you! These look amazing, so beautiful! Can't wait to try them out! I love cookies made from nutbutter! I actually just posted some with sunbutter, except I forgot how they turn a nasty shade of green from the baking soda and sunflower seed combo :/ These look fantastic...definitely trying them soon. I just finished off your lemon poppyseed muffins, which are by far my fave paleo muffins to date! Can these be made with regular butter? Will these stick to the baking paper? Every other cookie recipe I've tried had stuck really bad ..Any ideas? jerinyoder- sorry I have no idea how they would turn out with regular butter. they look wonderful! adding them to the list now! Oh my gosh, yum! And they're paleo?!?! do you think you could use coconut butter instead of almond butter? Anonymous- I am sure coconut butter would be delicious! I made these this eve, but subbed in a chopped Theo 85% dark choc bar and they were delicious! Question- how should I store the leftovers- freezer or room temp in a sealed container? Eeek! They sound and look fantastic! Glad to hear you had a good time, kid-free. We're gettin' a whole day with no kids this weekend to celebrate our anniversary. I can't wait! These look delicious! I'm curious as to how these compare with cookies made with almond flour. I have a fabulous, fool-proof paleo choc. 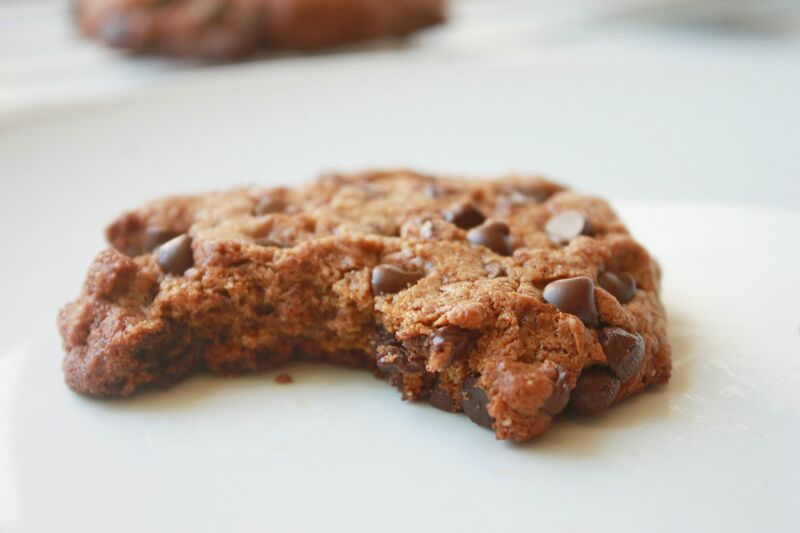 chip cookie recipe but it uses almond flour instead of almond butter. Any thoughts as to the difference? gimlets are always worth it! These are amazing. I made them with cacao nibs (all I had) and they were so delicious. So easy to make, too. Thanks for the recipe!!! Yummy! I used ultra smooth homemade almond butter, added an extra egg. I didn't have to push down with a glass prior to putting in the oven. So yummy! 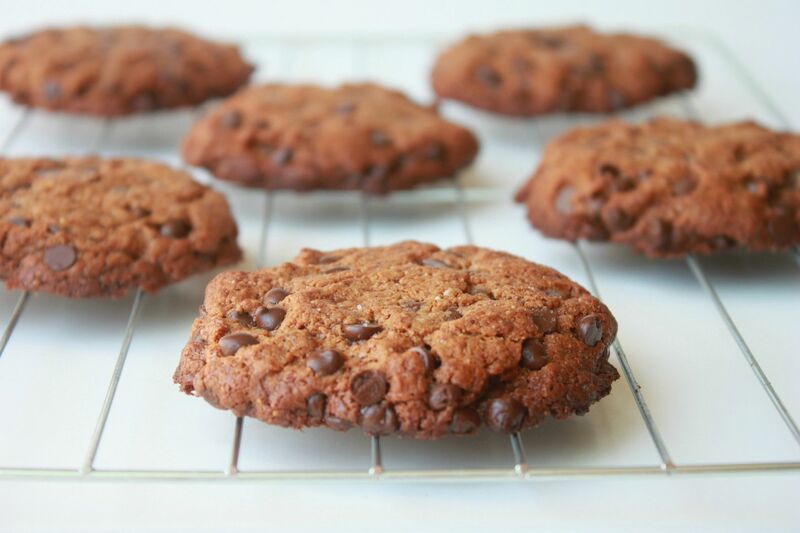 A chewy chocolate chip cookie, paleo style! Omg! Omg! Oh. Em. Gee!! So yummy, easy and decadent!! I love every recipe I have gotten from your blog but this is my favorite!!! I've made these twice in the last week. They are SO good. I even cut down a tiny bit on the amount of coconut sugar and I feel guilty after eating these b/c they taste SO good. I'm doing a no grains, no sugar diet so I'm not even supposed to use the chocolate chips or coconut sugar, so I'm wondering how this would be with at least xylitol instead of coconut sugar. I actually tweeted you about this minutes ago. But wanted to let you know what a HUGE hit these are in my house! I just made these... 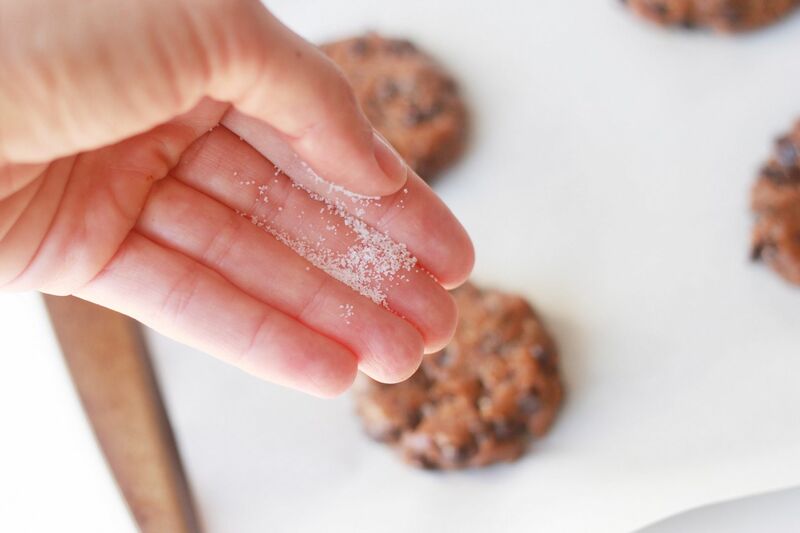 I cut the sugar to 1/4 C and the chips to 3/4 C to cut the sugar a bit (I'm a brittle diabetic). They are delicious! Thanks for posting! I made these last night and had low expectations, honestly; based on the simplicity of the recipe. Turns out these were absolutely incredible! I made them soft-baked and they were delightful out of the oven just as well as the next day. So moist, rich and delicious. 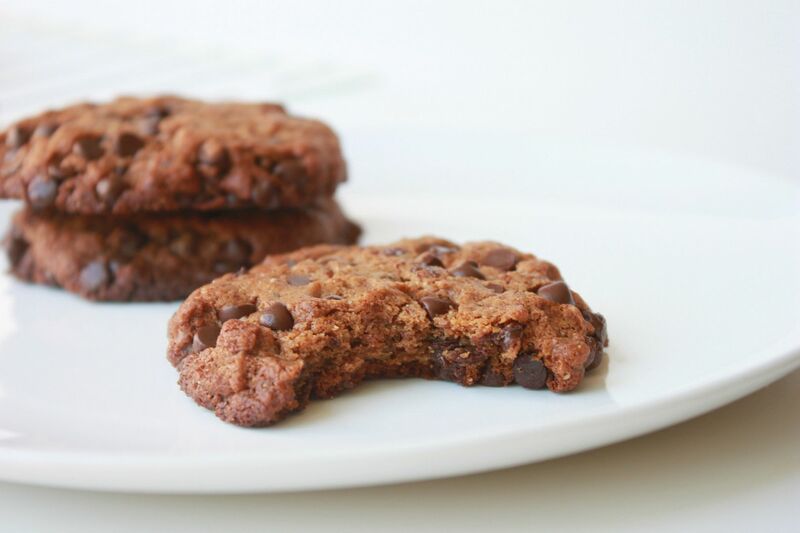 I couldn't believe how good they looked too, for paleo/GF cookies. Would re-do this recipe any day! Thanks so much for sharing this quick, easy and tasty recipe! I make these with peanut butter...they are addicting!! So far I have prepared 9 of your Paleo desert recipes, and everyone was fabulous and easy! ANYWAYS, I'll write it again! 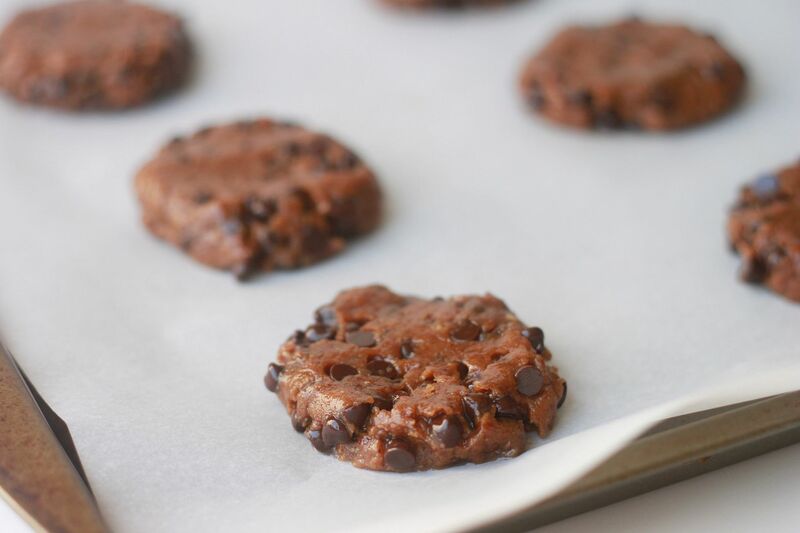 Linds, these are my favorite paleo cookies TO DATE, HANDS DOWN! Being super-sensitive to nut flours, my body responds better to nut butters so these were perfect for Christmas cookies and then I started making them as an on-the-go snack and late night treat! Oh, and you've gotten me HOOKED on coconut sugar. I had never used it until I found your blog and now it's my favorite granulated sweetener. I even purchased the vanilla-infused kind...mmm. Perfect addition to any treat! What are the carbs on these? These are delicious! I made them with a flax egg and they turned out great! I made these with 1/4 cup cacao nibs and 3/4 cup shredded unsweetened coconut. So good!